A human rights advocacy group claims in a recently released report that U.S. military airstrikes in Somalia killed 14 civilians and may amount to possible war crimes. Military officials with U.S. Africa Command deny that any civilians have been killed in the more than 100 strikes conducted since 2017. Amnesty International released its 73-page report titled “The Hidden U.S. War in Somalia: Civilian Casualties From Air Strikes in the Lower Shabelle” on Tuesday. The report details five alleged airstrikes the organization claims led to civilian casualties based on their reporting. During a press call with multiple reporters Tuesday, AFRICOM officials flatly denied any such casualties. “I’m very confident that Africa Command has not caused civilian casualties in Somalia,” a Defense Department official said. A report on civilian deaths in the bombing of Raqqa leads to a review of some of the deaths. 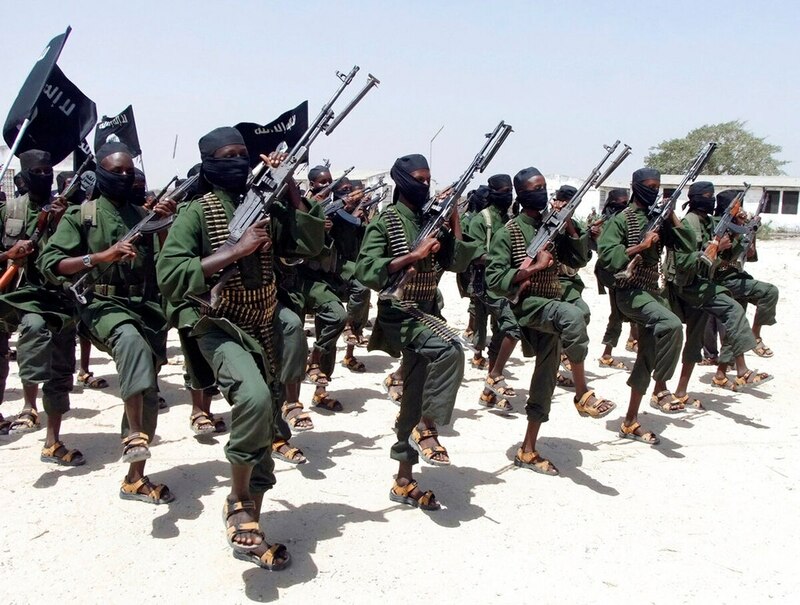 AFRICOM officials noted that most of the strikes have been conducted in “secluded, low populated areas” and repeatedly pointed to efforts by al-Shabab to make false claims or to coerce civilians to lie about such incidents for propaganda purposes. “These attacks either targeted civilians, or those who planned the attack failed to take adequate measures to verify that the targets were military objectives, or those who carried out the attack failed to cancel or suspend the attack when it became apparent that they were wrongly directly or that the attack might be disproportionate. As a result, the attacks appear to violate the principle of distinction,” according to the Amnesty report. The organization is calling on the U.S. government to investigate, and possibly prosecute, military commanders and civilian superiors involved with the airstrikes. The U.S. military says it is taking seriously reports that civilians were killed in a raid it supported in Somalia against the extremist group al-Shabab. Bill Roggio, senior fellow at the Foundation for the Defense of Democracies, told Military Times that distinguishing the accuracy of civilian casualties in hostile areas is nearly impossible. But Roggio was also skeptical of a perfect record on the part of AFRICOM. “Endeavoring to have zero civilian casualties is a noble effort; it is also impossible to achieve,” he said. Though they would not divulge details of their targeting practices or their post-strike analysis, AFRICOM officials stressed that it is a thoroughly vetted process. A look at a previous Amnesty report shows how many civilian casualties can happen in such instances. In June 2018, the advocacy group released a report titled, “War of Annihilation,” which focused on civilian casualties resulting from Operation Inherent Resolve strikes against the Islamic State group in Raqqa, Syria. That report focused on four families who lost 90 relatives or neighbors in the strikes. U.S. Central Command reopened investigations into those strikes following the Amnesty report. The volume of both strikes and acknowledged civilian deaths was considerably higher in the OIR mission. OIR officials stated that their task force had carried out 29,596 strikes from August 2014 to May 2018 and documented at least 939 civilians killed unintentionally by coalition strikes. The fighting and battleground that is Somalia is a different territory and a different type of mission. An interesting item that emerged from the Amnesty report includes evidence they say shows that AFRICOM used AC-130 for at least one of the strikes. That’s somewhat of a departure from acknowledged drone use, which often carry lighter munitions. Their evidence are remnants of a GBU 69 munition, a small glide munition version that can weigh about 60 pounds and carry a 36 pound warhead. Variants of the munition include both an air burst option and a “massive ordnance penetrator." Amnesty cites the low number of available AC-130s, noting 21 in the Air Force inventory, means the aircraft are categorized as “high-demand/low quantity." The alleged deployment of the aircraft could be seen as an escalation of force in the conflict. Defense officials would not discuss platforms that are used nor where those platforms are launched from, citing operational security concerns. But one of the officials who participated in the media call Tuesday responded by saying that AFRICOM uses “all available” assets an applies resources where they are needed to support a partner force, U.S. counter terrorism objectives or larger strategic aims. Al-Shabab formed in 2006 in Somalia and controlled Mogadishu, the country’s capital, and most of the country within a few years. Since at least 2011, it has been considered an al-Qaida affiliate and became a target of U.S. airstrikes. Since then, strikes have increased. AFRICOM shows 35 strikes in nine months of 2017, another 47 in 2018 and there have been an estimated 28 strikes this year, so far. In a Feb. 15 press briefing, AFRICOM commander Marine Gen. Thomas Waldhauser told reporters that the increase in airstrikes was part of a larger strategy both to degrade terrorist activities of both al-Shabab and Islamic State and also to assist the Somali federal government as it regains control of its territory. The Amnesty report focuses on five airstrikes conducted between April 2017 and December 2018. Oct. 16, 2017: A U.S. armed drone targeted a suspected al-Shabab vehicle between the towns of Awdheegle and Barire. The strike killed an unknown number of suspected fighters inside the vehicle. The strike also killed two civilians and injured five children next to the road during the attack. Nov. 12, 2017: A U.S. military airstrike on farms southeast of the village of Darusalaam killed three civilian men sleeping under a tree. In response, AFRICOM confirmed that it carried out two airstrikes on Nov. 12 2017, including one in the Lower Shabelle region at approximately 3 a.m., and another in the Puntland region. These strikes killed “several” militants, AFRICOM officials said. They did not provide further details in the email about the precise locations, nor whether any civilians were killed or injured in the attacks. Dec. 6, 2017: A vehicle carrying suspected al-Shabab fighters in the hamlet of Illimey exploded, killing five civilians, including two children and possibly three al-Shabab fighters inside the vehicle. Witnesses to the incident and media reports indicate it was struck by munitions fired from the air. AFRICOM responded: AFRICOM did not conduct a strike at this location. Additional information provided by […] Amnesty International indicated that the strike in question involved secondary explosions. On 11 December 2017, one week after the alleged incident, AFRICOM did strike a VBIED approximately 35 miles from this location but no secondary explosions were observed. Aug. 2, 2018: A U.S. drone strike killed three civilians and one suspected al-Shabab member as they drove in a rural area east of Gobanle village. Dec. 9, 2018: U.S. forces conducted an airstrike near the village of Baladul-Rahma, killing one civilian farmer and wounding another. Some of these alleged civilian casualties, Amnesty claims, were the results of misidentifications of targets. Brig. Gen. Donald Bolduc, who served as deputy director of operations for AFRICOM from 2013 to 2015 and then headed Special Operations Command-Africa until June 2017, detailed some of the changes in procedures in an interview with The Daily Beast. Bolduc said that best practices for analyzing the aftermath based on joint U.S. doctrine should include video from the aircraft, weapon system, confirmation from ground spotters, controllers and observers, artillery target surveillance reports, signals intelligence and a variety of other measures. But, in practice, he said that often only a single source of information is used. “The only assessment (AFRICOM) have is we continue to fly over the objective post-strike to get a sense of the environment from the air,” he said. In the Tuesday call with reporters, defense officials said Buldoc mischaracterized how AFRICOM performs its assessments. “That is not an accurate statement regarding targeting standards that AFRICOM applies,” a defense official said. Staff Writer Kyle Rempfer contributed to this report.